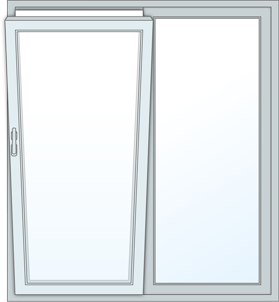 Tilt & Slide windows and doors are a space saving solution if you have little room inside your home. They can be opened fully by sliding or tilted inwards for efficient ventilation. 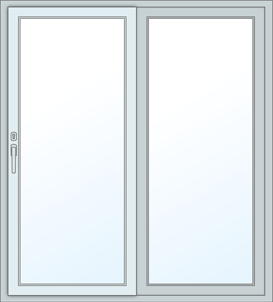 Tilt & Slide windows and doors achieve a better insulation than standard sliding windows and doors. They also give you a tilt option, which is perfect for ventilation while keeping your home secure from intruders. Tilt & Slide windows and doors provide great security for your home through multiple locking points operable from just one handle. Keylocking mechanisms are available for this system, allowing for even greater security and better home insurance premiums. Your Tilt & Slide window or door can be tilted inwards for ventilation whilst still being secure enough to prevent break-ins. The outside air is channeled through the sides of the window/door, while hotter air that rises escapes through the top. 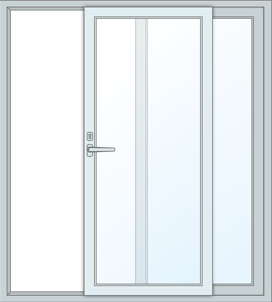 To fully open your window or door all you have to do is slide it to the side, giving you complete access to your garden or balcony. The superior roller system allows the door to move smoothly and with little effort.